British milk. Double layer of compote. Thick 'n' creamy. Natural ingredients. Gluten free. 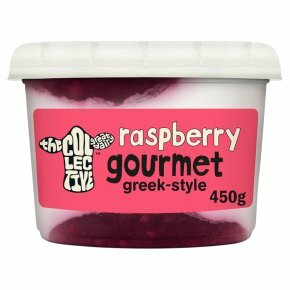 Vegetarian friendly.Surround our thick 'n' creamy yoghurt with the plumpest raspberries and you get a flavour burst like no other, deliciously sharp, tangy, bright! oh raspberry, you sure know how to bring on a smile, no bull!